From the creative masterminds at Elephant Games comes the anticipated next installment of the Chimeras series, Chimeras: Cursed and Forgotten Collector's Edition. If you have played any of the previous Chimeras epics, then you know what kind of challenge you are about to face. What seems to be a relaxing vacation takes a weird turn as you find yourself locked in time travel! If you have yet to have the privilege, then Cursed and Forgotten is a great place to start! This game will have you tracking down your family tree in an adventure that would make William Wallace himself jealous. 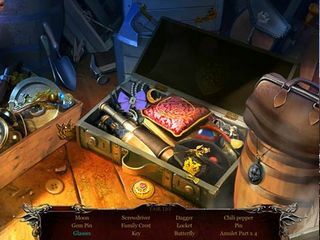 Get to the bottom of the mystery before it is too late in the next chapter of this hot Hidden Object Puzzle Adventure series that we have all been waiting for. Don your kilt and head to Scotland where your quest begins. You go to look up your family tree… could you be related to Robert the Bruce or some scallywag from the history of the northlands? Or perhaps a hero that has defended Scotland’s sovereignty in centuries past… What seems to be a relaxing vacation takes a weird turn as you find yourself locked in time travel! Apparently, your ancestors have been kidnapped by a scandalous bandit and now it is up to you to save them? Can you breech through the 21st century before it’s too late? Find out for yourself in this challenging episode of the Chimeras saga. But, be forewarned. Not everything is what it seems in this magical universe. Get the Collector’s Edition of Chimeras: Cursed and Forgotten today, and you’ll be in for an extra measure of fun. 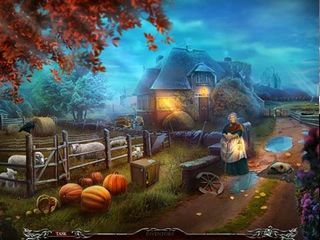 You will be able to play in a bonus game, which is extra spooky as it features the past coming back to haunt you. Lots of fun! 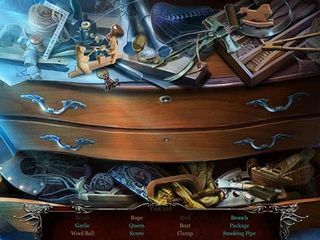 The hidden object puzzles are fun and challenging, and you will be able to replay them over and over again. The Collector’s Edition also includes a helpful Strategy Guide just in case you find yourself in too deep of a pickle, and the difficulty levels are adjustable for customizable game play. There are some neat media downloads available to keep on your desktop as you play and to enjoy even after you conquer the game. Not to mention all the collectables and unlockable achievements! Check it out for yourself today! This is Chimeras: Cursed and Forgotten review. Download this game here.